You never know what treats you’ll find at your local fish market. At a commercial fish auction market in Honolulu, for example, researchers recently found three new species of opah. The discovery shows that we still have a lot to learn about the creatures that live under the sea. Opah look like dinner plates tilted on their edges, with silvery-gray skin and bright red fins. An adult averages about three feet long and weighs about a hundred pounds. They’re frequently caught along with tuna and swordfish. In 2016, opah sales in the U.S. totaled more than three million dollars, mainly in Hawaii and California. Scientists had classified two species of opah -- one in the Southern Ocean, and another that’s found everywhere else. But when a fish buyer saw several opah lined up at the Honolulu market, he noticed some differences between individual fish. Some had bigger eyes than others, for example, or different coloration. He notified experts with a federal agency. They measured as many opah as they could, and sent samples to a lab for DNA analysis. 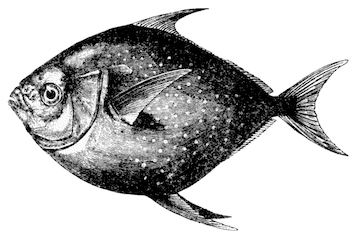 The researchers also scoured scientific papers about opah dating back to the 1700s. And they studied samples of opah that were stored in museums and labs around the world. Their work revealed three species of opah that had never been cataloged before, and “resurrected” a species that had been abandoned. The research brings the total number of known opah species to six -- adding a bit of diversity to a fish that’s showing up at more markets.